Our Featured Bridal gown is style C481 from Allure Couture. 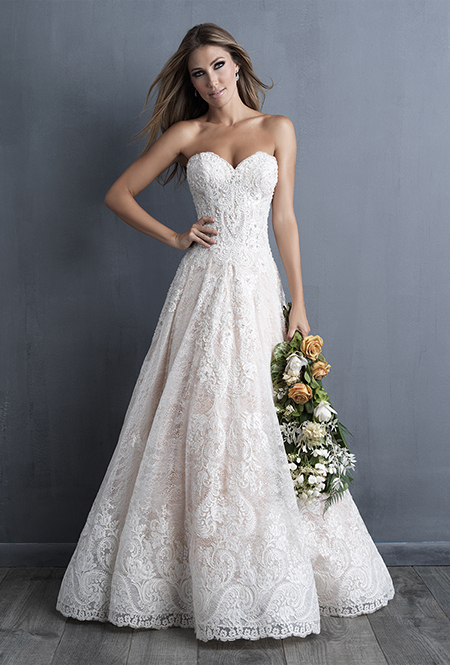 Lace and beading intricately covers this strapless gown from train to sweetheart bodice. Its elegant A line shape is sure to flatter any figure. Offered in champagne or ivory this stunning, yet romantic lace gown is sure to bring a tear to his eye. To try on this beautiful gown please call and make your appointment today!